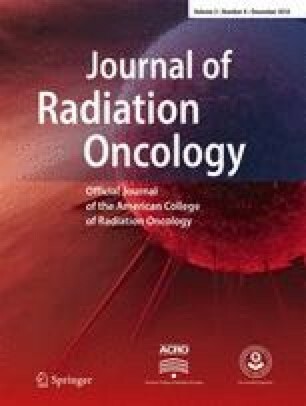 We performed this open-label phase I/II trial to investigate concurrent celecoxib as a radiosensitizer during chemoradiotherapy. Eligible patients included those with newly diagnosed, or recurrent, stage III or IVA locoregionally advanced squamous cell carcinoma of the head-and-neck (SCCHN), excluding nasopharyngeal tumors. The primary tumor was prescribed 70.2 Gy with concurrent weekly carboplatin and paclitaxel. Celecoxib was dosed at 400 mg twice daily, beginning 1 week prior to radiotherapy. Thirty patients were enrolled between 2002 and 2007. The median age at enrollment was 57.6 years, and the median follow-up for surviving patients was 10.4 years (range 5.9–11.8 years). The complete clinical response rate was 87 %, nearly achieving the primary end point goal of 90 %. The 5-year actuarial disease-free survival (DFS) and overall survival (OS) were 40 and 53.3 %. Fourteen (47 %) patients experienced grade 3 or worse acute hematologic toxicity. Five (17 %) patients experienced grade 4 acute non-hematologic toxicity. Celecoxib appears to be a safe addition to cisplatin-based chemoradiotherapy for the primary treatment of locoregionally advanced SCCHN. Initial response rates were encouraging, and survival compared favorably with contemporary trials. Unfortunately, concern for cardiac toxicity of the drug led to early closure and limited statistical significance. This trial was supported by Pharmacia/Pfizer and Bristol-Myers-Squibb. James A. Bonner has acted as occasional consultant/honoraria for Bristol-Myers Squibb Company, Eli Lilly and Company, Merck Serono, and Oncolytics. Andrew M. McDonald, Roger Ove, Lisle M. Nabell, William R. Carroll, Nasser Said Al-Naief, Margaret Brandwein-Gensler, and Sharon A. Spencer declare that they have no conflict of interest. All procedures performed in studies involving human participants were in accordance with the ethical standards of the University of Alabama at Birmingham Institutional Review Board and with the 1964 Helsinki Declaration and its later amendments or comparable ethical standards.